Melt your cares away as you sink into the amazing comfort of this “cloud-like” float. The Santa María layers thousands of individual entrapped air bubbles to make it unbelievably soft and comfortable. Ready to use out of the box, this unsinkable mattress is much more convenient than inflatable floats – no more blowing up or patching leaks. 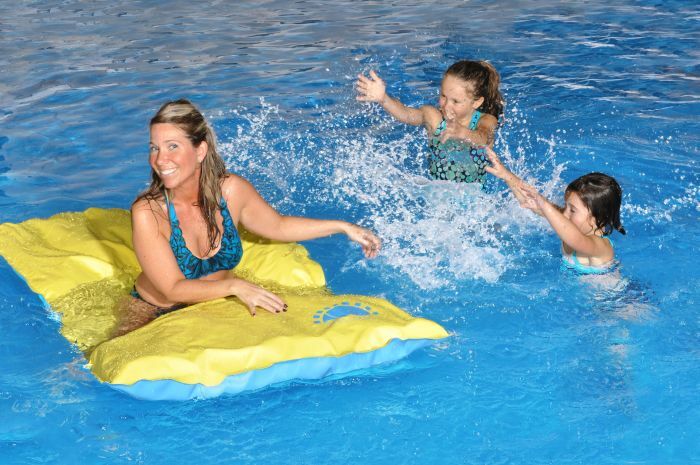 Use in the pool, on the deck, at the beach, or for camping without worrying about puncturing the float. The thick, nearly indestructible vinyl covering will provide years of endless relaxation and enjoyment. It rolls up compactly for easy storage. Features bright yellow and blue reversible colors and measures 40”W x 70”L.